Jacob's list for the week! Synopsis (via Goodreads): In a lush, contemporary fantasy retelling of Beauty and the Beast, Brigid Kemmerer gives readers another compulsively readable romance perfect for fans of Marissa Meyer. I'm not always a fan of retellings, but this one sounds amazing! I already have high expectations since the synopsis says "perfect for fans of Marissa Meyer," and love Meyer's books (The Lunar Chronicles, Heartless & Renegades). Also, that cover is stunning and I want it! Nice cover! I like that kind of thing to look at. 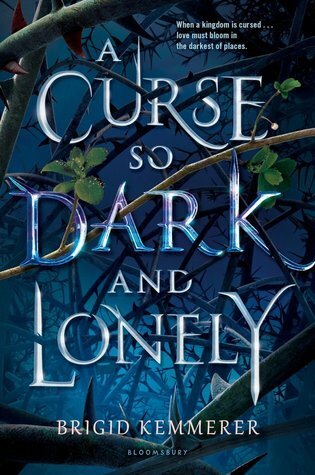 A Curse so Dark and Lovely has a gorgeous cover! I just stared at it for a couple seconds and was like,''Add that to the TBR!!" Right? How can you not add it to your TBR?? And the synopsis is really intriguing! I think it will be a very unique spin on an old fairy tale. Definitely a beautiful cover. I keep seeing this one around, so I'll be curious to read some reviews. I have been reading more re-tellings lately. I haven't always enjoyed retellings in the past, but there have been a few this year that I've really loved! The Lunar Chronicles for one... Geekerella was good, too. Which books have you read with retellings? I haven't read anything by this author! Which of her NA books did you read? I'll have to check it out! 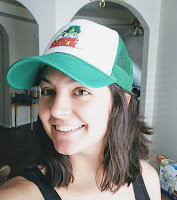 Happy to bring something new to your attention! I'm always looking for Beauty and the Beast retellings, but they have been hit or miss for me. However, I do love Brigid Kemmerer, so I'll have to keep my eye out for this one! So you've read something by this author before? Which of her other books would you recommend? I can't remember the last time I read a Beauty and the Beast retelling. Lately, I feel like they've all been about Cinderella. See... I'm usually someone that avoids retellings, because I think I read too many a few years ago and they lost their appeal. However, I have read a few this year that I've enjoyed, and this one sounds really great! 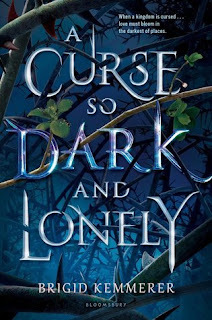 Adding A Curse So Dark and Lonely to my TBR!!! Hunt for Wolverine looks good, as usual, with DD there on the cover. Have you watched the DD show on Netflix? It's pretty awesome as adaptations go. Yes! We love the Marvel shows on Netflix! Did you see the new trailer for Iron Fist and Luke Cage?? SO GOOD. I can't remember what the date is going to be, but he's stepping in during Daredevil's absence. Have you watched The Defenders? I don't want to spoil anything, but Iron Fist is going to take place right after... I'm curious how this is going to follow the comics, because I know they like to do things their own way so it's not too predictable. How's Luke? He seemed more confident with his role when I watched the trailer, but it looks like he's working with his enemy. Like, the enemy of my enemy is my friend situation... I'll get to it soon! Jacob and I like watching those together, but finding time is hard. We're almost finished with the newest Jessica Jones. Luke is okay so far, I'm only on episode 1 (I've been watching Impulse and Cobra Kai on Youtube red) but I see that IF cameos in it down the road so I'm looking forward to that. Plus Misty and Colleen= the bomb. I hate Shades and Mariah though (ugh). And I thought Jessica Jones S2 was good! I love Patsy (although I didn't love everything she did). You're a fan of The Hand as a villain, or you agree with what they're trying to accomplish?? ;) The first season of Iron Fist was my least favorite of all the Marvel shows on Netflix, but I did think they were true to his character (minus the costume). I didn't think they'd made a second season, but they need to in order to make another Defenders. We need to know what Danny has been doing, especially since he's filling in for Daredevil. He feels like he owes Matt for something... I can't really remember the reason from the comics, but there is one. I watched the first season of The Punisher with Jacob, but while I love the Frank Castle they've chosen, it's not really my cup of tea. He's just so angry all the time and violent (with good reason), but he's not very likable. I did like that they kept Karen in his story and Froggy in Jessica Jones (briefly). I liked them both in the earlier episodes of Daredevil and was sad when the trio went their separate ways. I didn't know Iron Fist was going to pop into Luke Cage... though there are a lot of comics where the duo team up, so I guess it makes sense. I love Misty and Colleen! Misty is helping Daredevil in one of the Hunt for Wolverine's I'm reading (she's part of his team), and now she's working as a PI with he robotics. She seems angry with the world. I can't wait to see her working with Colleen! Ugh, Shades and Mariah were the worst, though I think the new villain might be worse. He can compete with Luke on a physical level as well as playing dirty like Mariah. We watched some more of JJ S2 last night and ugh, Trish is making me crazy. She's been an addict in the past, so she should have known better than to puff something she was unfamiliar with. Now she's acting even crazier and more strung-out. AND HER MOM IS THE WORST. She's supposed to eventually become Hellcat, right? Hell Cat? AS villains. I LOVED the Hand back in the old DD comics, they were badass. Wolvie scrapped with 'em too. And same here about Iron Fist. I hope they step it up in S2. I only watched the first episode of Punisher, and decided not to continue. Yeah he seemed too angry and I figured it was probably just gonna be a long season full of bad stuff and violence lol. Whick, okay, if it's compelling, but I wasn't feeling it. I agree about Karen and Foggy though- love both of them! Yeah I'm not sure what episode but I saw a clip of him and Luke confronting Mariah and Shades. They used to team up back in the day so it feels in character. Oh and Colleen/ Misty had their own PI firm Nightwing Restorations (always loved that name) so I'm hoping they do the same on the show! Yeah Trish becomes Hellcat. Although they're taking their sweet time! I was hoping they'd get to it in S2. I did NOT like her taking the drug... she was really dumb in S2. Oh my gosh. I like her but she was dumb. And her mom. Yeah Ugh. Is it Froggy or Foggy? I can't remember, lol. Frank's relationship (if you can call it that) with Karen is weird. Like, they care about each other... but there's no way that's going anywhere. I don't think he's even considered another woman after what happened to his family. Yes! I also love the name Nightwing Restorations! I think it would be awesome if they included that in the show, and it would give Misty and Colleen some crossover between shows. Ugh, I'm so annoyed with Trish and her mom right now. I wish JJ wasn't so distracted. She'd be able to snap Trish out of whatever she's going through. You already finished the second season of JJ? I was really hoping they'd get to Hellcat, too. I think it would put her and Jessica on a more even playing field, and she would feel less inclined to tote around Simpson's old bag of weapons (some of them modified beyond recognition) and puffing substances she knows nothing about. Then there is Jeri... first the Death Drug, and now IGH. Didn't she learn her lesson after the Killgrave incident?? It's Foggy. And yeah I thought so too! Like it was nice that they used Karen to bridge into Frank's story, but... I just don't see those two. I think they might be going there w/ Misty & Colleen. Or at least a partnership even if they don't do it exactly like the comics. Yes Trish does SO many annoying things! And I hate her mom. Ugh. I love the friendship Jessica has with her but man does it get strained in S2... I really didn't like that. And yeah I binged JJ S2 the weekend it came out lol. Oh and Jeri... her story was so unnecessary? I think they just needed an excuse to use her but I didn't like what they came up with.